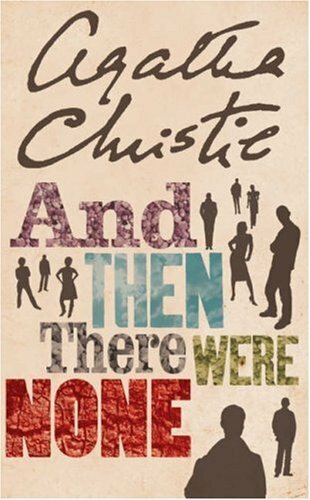 I always enjoy Agatha Christie novels, and this failed to be the exception from the norm. 10 unlikely characters, all strangers, find themselves more or less trapped on an island. A mysterious recording is played, accusing each, more or less, of murder. All display varying degrees of righteous indignation, and all either deny outright that they had anything to do with each of the deaths, or at the very least, that they were blameless. And then... one by one, they start to die. The characters are all suspicious of one another, and accusations fly. None know anyone well enough to trust them at their words, and yet that's all they have to go on. The psychological effects make for quite an entertaining and clever progression. Rather than rushing through the explanation, I might have paused to consider the developments. I'd like to think I'm clever enough to have deduced, at least loosely, who the culprit was, but perhaps I give myself too much credit. At any rate, it's an enjoyably quick read, much more perplexing than frightening.